For most of the past 40 years, I have lived in Huntsville, Alabama. 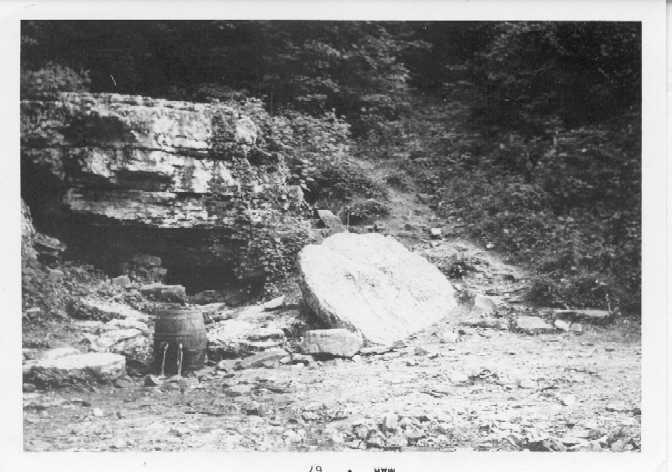 Back in the late 1800s, a resort hotel was build atop Monte Sano Mountain, which is on the east side of the town. 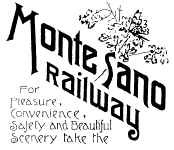 The Huntsville Belt Line and Monte Sano Railroad was built to transport visitors up the mountain to the hotel. The Monte Sano Railroad was a standard gauge affair with a single 26 ton Baldwin steam dummy engine, and its primary rolling stock was a few passenger cars and one or more gondolas for hauling rock. 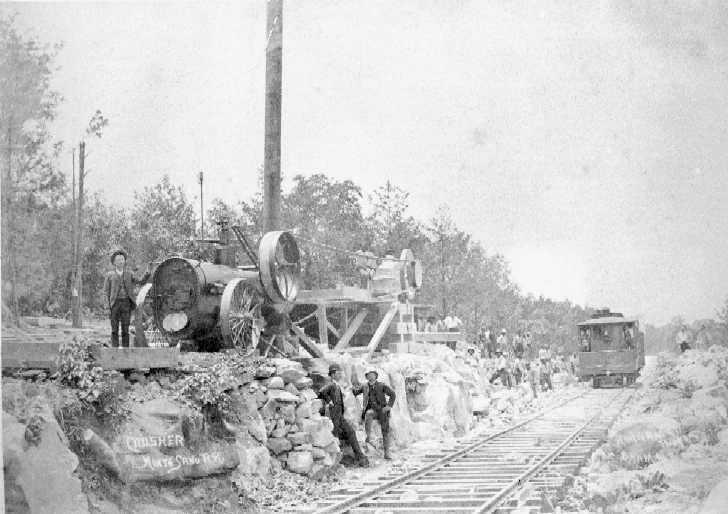 I have some photos of the railroad under construction, when cuts were being made thru the rock of the mountain; and, at that time, the little loco was hauling building materials and crushed gravel for the ballast. 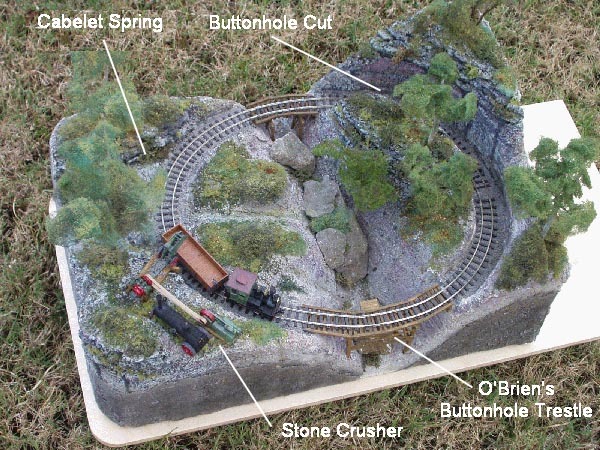 The photo below shows the most spectacular part of the railway, a loop called O'Brien's Buttonhole. In this picture, the roadbed enters from downhill at about 12:00, loops left across the great trestle, crosses left to right in the foreground, exits the picture at about 5:00, re-enters about 3:00, and finally exits headed uphill at about 1:00. There is a second, smaller trestle just out of the picture to the right. It does not take too much imagination to transform this open loop into a closed loop for a micro layout; and that is what I intend to do. You will be able to see and judge my success for yourself. Scenes from Monte Sano RR as they will appear on the layout. Click on thumbnails to see full sized picture. Black and white photos are historic, color are model scenes. Rolling Stock - not specific now, but could get more authentic to the Monte Sano Railroad later. How high do you want it?